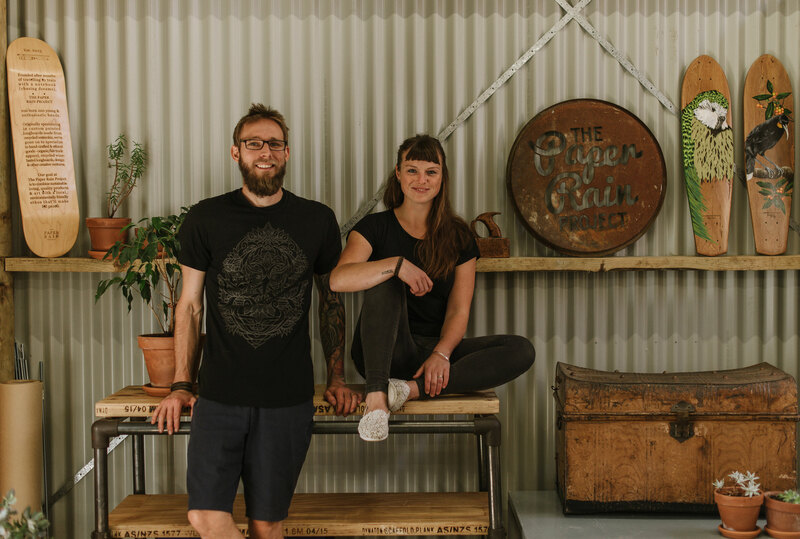 Nelson – Moved by the recent forest fires near Nelson, the Marlborough region’s Paper Rain Project has launched a not-for-profit t-shirt in support of native tree plantings in the destroyed areas. Although a substantial area of forestry was affected, the fire also had devastating effects on the lowland bush area of Eves Valley. The Paper Rain Project is connecting a community which wants to help, directly with the restoration projects. Donated funds will see trainee Department of Conservation rangers overseeing the restoration of damaged native areas in 2019-20. All profits from the sale of the project t-shirts will go towards pre-purchasing native seedlings at an eco-sourced tree nursery. “Eves Valley Scenic Reserve has been badly affected by the Dovedale fire but somehow miraculously avoided becoming a total loss,” DOC Biodiversity Ranger Roger Gaskell says. The Paper Rain Project co-founder Indigo Greenlaw says they are no strangers to supporting causes. A percentage of profits from every one of their fair trade, organic t-shirt artworks is donated to a number of charities and 100 percent of profits from the tees-for-trees shirts will be donated to the cause. “As New Zealanders, and part of a community which has seen more than its share of wild fires, we are devastated by the loss of trees in Nelson. “But tees-for-trees gives people the opportunity to connect with a cause that will make a positive difference for the future. We all want to do our best to support our local communities and nature areas we love so much,” Greenlaw says. For further information contact Kip Brook editor-in-chief on 0275 030188.